How to increase children's language,listening and communication skills. 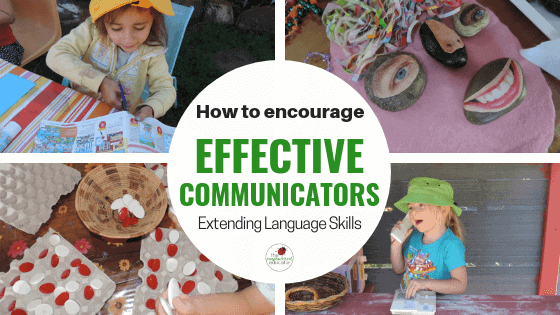 Supporting children to become effective and confident communicators is an important role for both parents and educators. Right from birth children are social beings who try to communicate with the world around them. If they feel heard and understood it supports their emerging identity and sense of self. 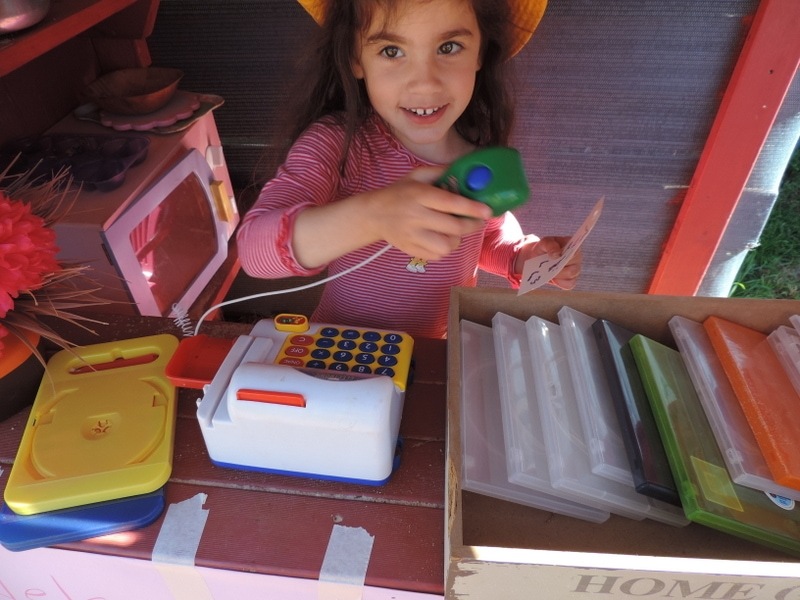 It doesn’t matter whether the communication is verbal or non-verbal – it is the experiences that will ultimately support their literacy and numeracy competency throughout early childhood. If babies and children aren’t provided opportunities to express themselves and communicate with others in a variety of ways it can contribute to them feeling as though they are never ‘heard’ or ‘understood’. As adults, we tend to give up trying to communicate with someone when we don’t feel as though they are listening or open to how we are communicating with them. It is the same with children, they will lose their spark to investigate, problem solve and communicate in different ways. They may become withdrawn, have difficulty making sense of their experiences at home and play and miss out on the many valuable interactions needed to extend their vocabulary and communication skills. So how do we as parents and/or educators ensure we are supporting our children to become effective communicators right from birth? How can we provide experiences to encourage them to develop a love of communicating with others? The Australian Early Years Learning Framework (EYLF) includes communication in Learning Outcome Number 5. 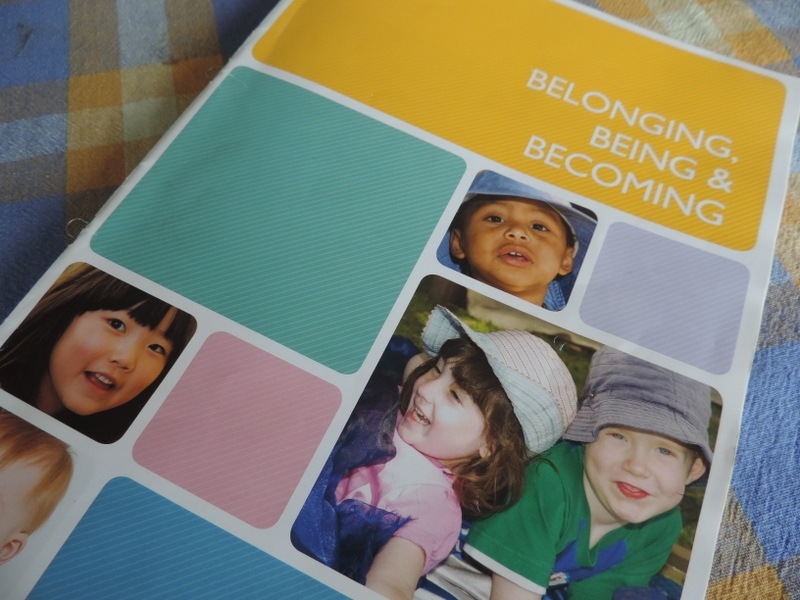 Regardless of whether you are an educator or following the Australian framework, it provides many valuable indicators for everyone with children under 5 to explore. So let’s take a closer look at the indicators as outlined by the EYLF document. I’ll share some easy ideas/strategies in ‘normal speak’ under each heading for parents and educators to try. Of course, we can’t do everything but if we try to do at least a few from each area it will ensure we are providing a positive foundation for language, literacy and numeracy learning and discovery. Children communicate in many different ways. It’s important to realise that they might not be actually talking or using words in a way that you understand but they are still communicating and we should always acknowledge and respond to these attempts. Sometimes it can be easy to miss these moments because we are busy and often only listening for verbal interactions. Encourage babies and children to explore facial expressions through mirror play, songs, stories and craft. Recognise when they are using a certain expression to communicate with you even if they can’t articulate the words. Try talking less and responding more to a child. Look for non-verbal cues that you might be missing if always the one doing the directing or talking. Encourage non-verbal communication by responding to body language, eye contact/gaze, facial expressions and gestures such as pointing. Recognise that a child from another culture who also might speak another language can still be supported to communicate in different ways. If your child’s friend does not share the same language perhaps you could help them to learn a few keywords from another language or explore the other child’s culture through internet research, pictures and song. If a child cannot speak but communicates through sign language then you might support your child or class to learn a little sign language. This is of course just as important in early childhood settings too. 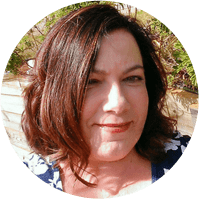 You don’t need to teach a child a whole new language or become fluent in sign language, but you do need to ensure they have an awareness of the many ways to communicate and can foster that interest to help children make sense of the world around them. Provide play experiences that allow children to explore concepts of measurement and number through vocabulary while playing. Ask open-ended questions and encourage communication and discussion during group or role play. Interact with babies as they try out new sounds or attempt to communicate. Reflect back to them and use your own facial expressions and gestures to also communicate. Try not to finish a child’s sentence or word, encourage but let them get there at their own pace. Remember that speech is only one form of communication, how else is that child communicating with you? How can you answer with respect and understanding? Provide sensory experiences that allow for the exploration of the senses through both verbal and non-verbal communication. Can they explain what they are touching, hearing or tasting or are they more confident to just explore non verbally and let what they are feeling shine through on their face? How can you tell what a baby is thinking about an experience? What about a toddler? 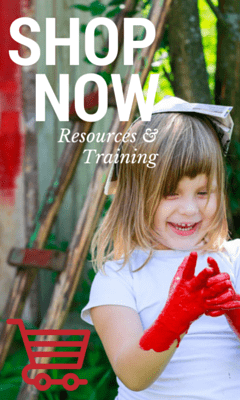 Provide real tools and props for play so that they can explore and communicate in a way that is meaningful to their current experiences and family culture. 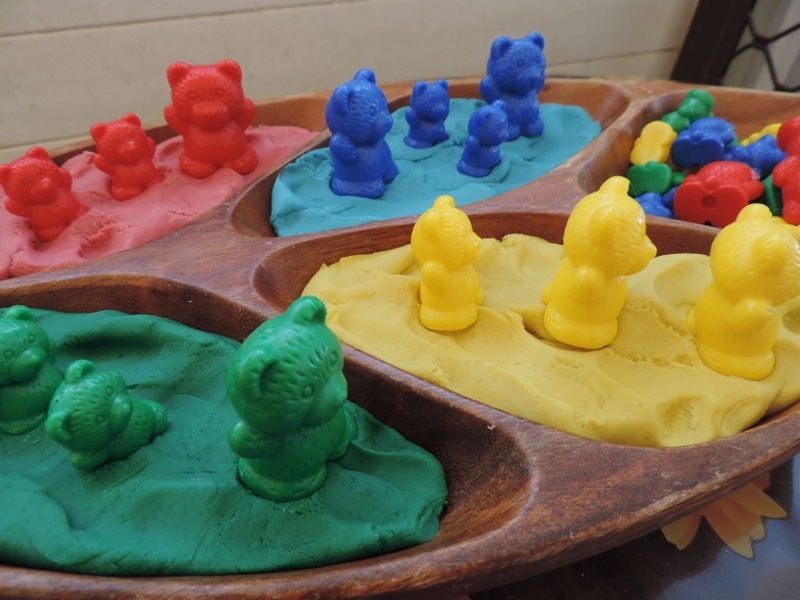 Allow them to role play with these tools and therefore bring their own ideas, imagination, creativity and previous interactions into conversations and group activities. 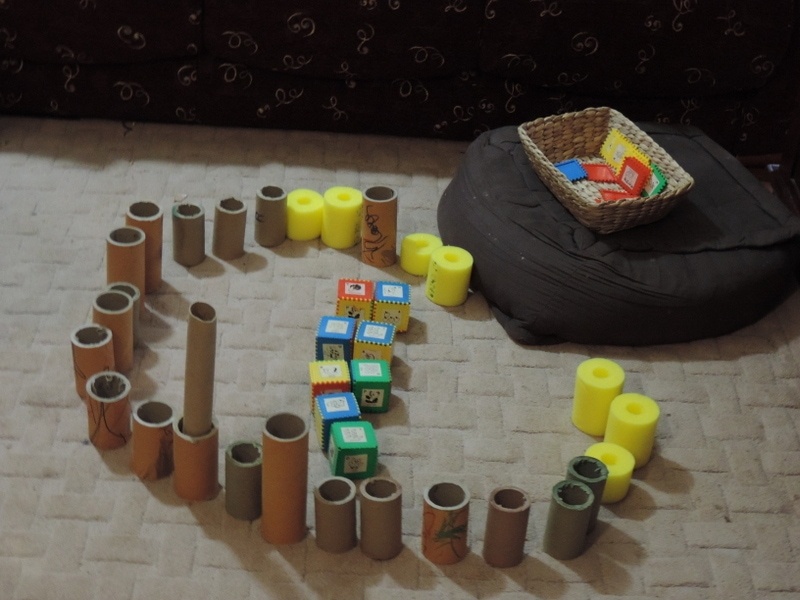 Model language and expression through everyday activities. 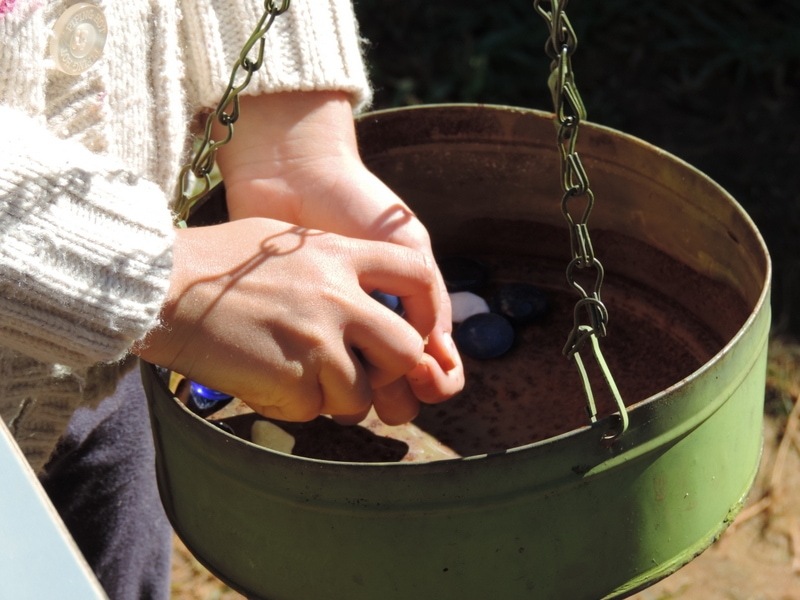 Encourage conversation while playing and exploring. Use questions wisely but not constantly to promote learning. Support children to build upon the communication skills they are already displaying by extending not just feeding back to them. Child – “I got car” Educator/parent “Yes, I see you have the BLUE car.” Expose them to new words and experiences and they will begin to include them into their future experiences and play. 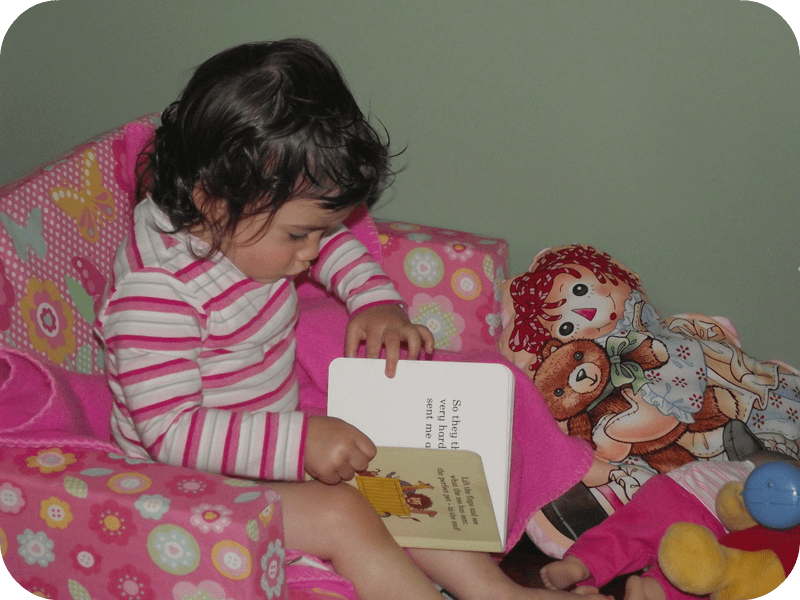 Read to children often (yes, even babies!) 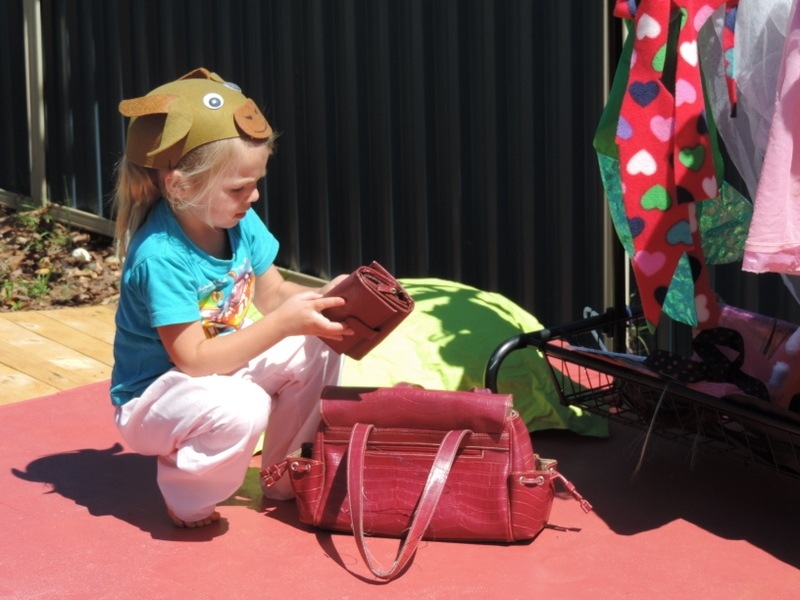 but also encourage older children to tell the story of their favourite book or to make up an entirely new one. Perhaps they might prefer to draw a picture of their story or act it out as a song or play. Introduce a wide variety of books, stories and formats – pop up, lift the flap, interactive, felt board, magnetic, rhyming, picture, informative, multicultural, ebooks, audio books, photo books, art books…. 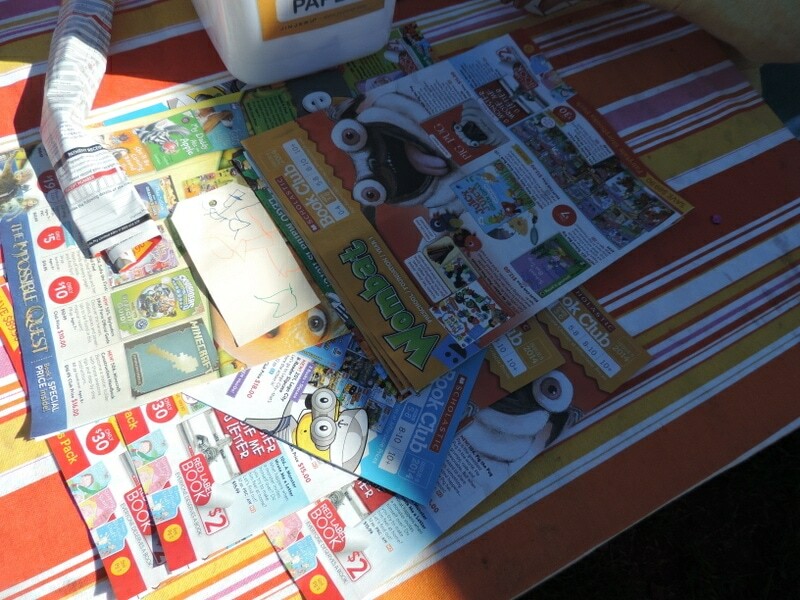 Use junk mail, newspapers and magazines for craft activities such as collage or cutting out pictures of healthy foods. 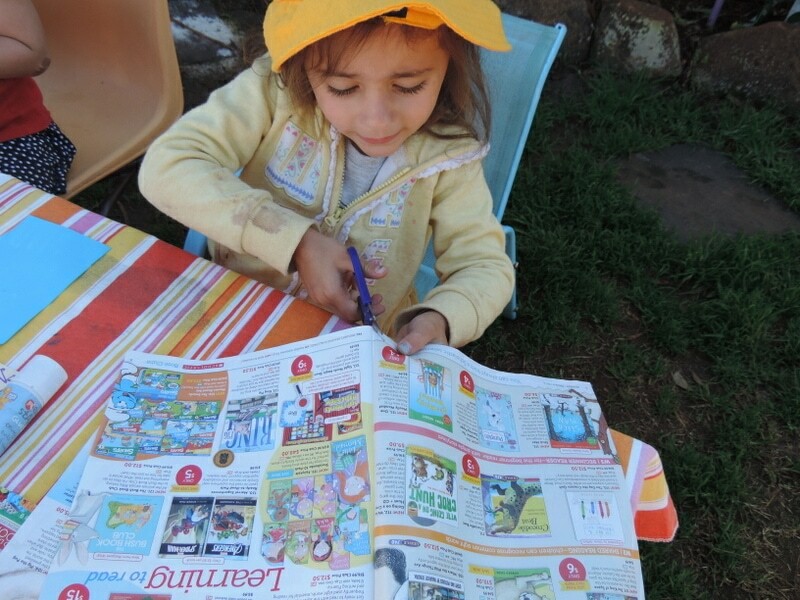 Use the opportunity with older children to chat about what junk mail is for (advertising/selling) or why newspapers are printed or how they are printed. There is always an opportunity to learn when engaged with text. Explore artists and artistic principles through the craft experiences you offer – relate them to a picture they might see in the art book displayed open on the table or informative articles on the computer. 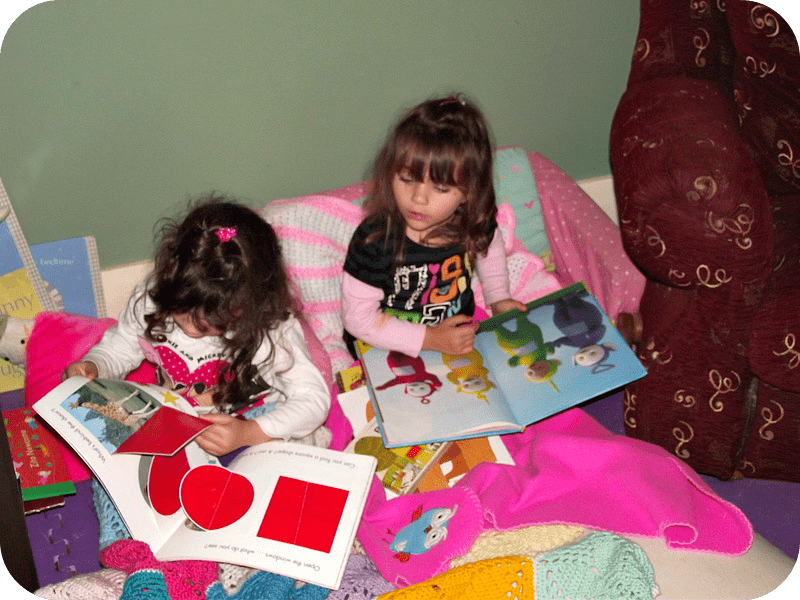 Educators – why not encourage children to bring in a favourite story from home to share with the group, for babies and toddlers you could ask the parent to bring along a picture book or other text that they feel their bub is currently really interested in. I recently had a toddler bring in a poster with native birds on it as mum said he loved it. He was excited to point to the birds and tried to make bird noises when showing me. It was obviously special to him and was another form of text that allowed him to communicate without resorting to his limited speech. The other children loved investigating it with him and finding their own ways to communicate what they could see on the poster. 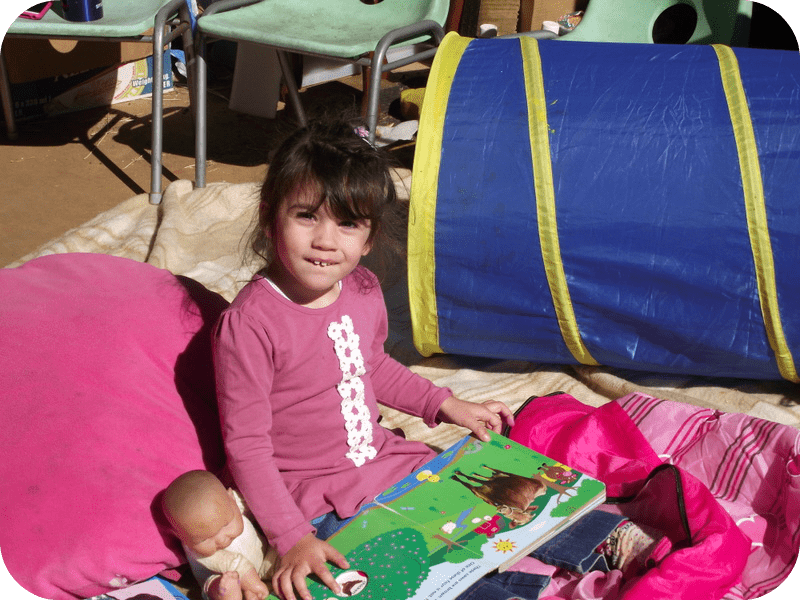 Be prepared to sit with the children as they read or explore different texts and listen to what they are saying. 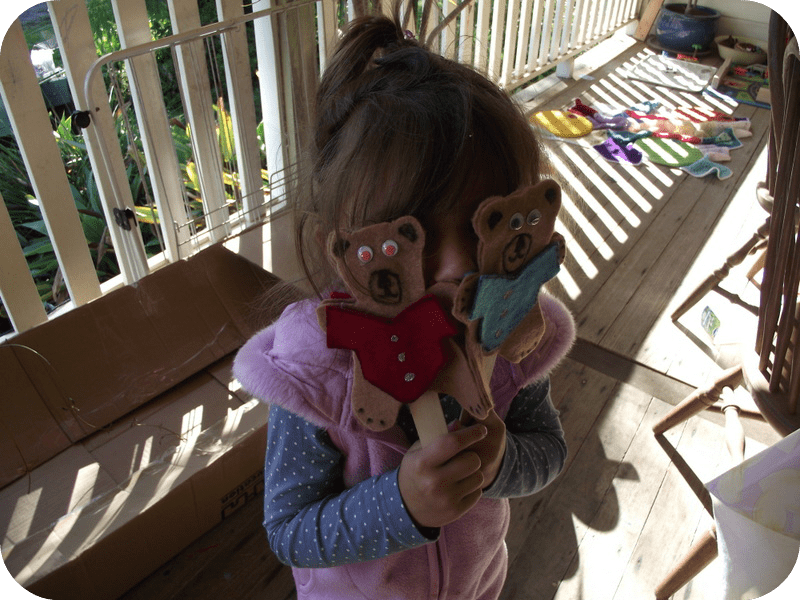 Join in their play and engage them in conversations about what they see. 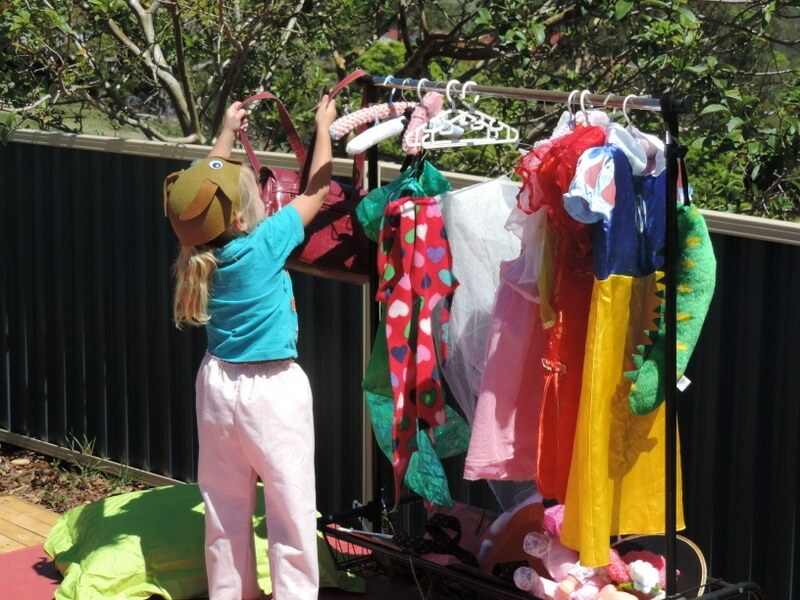 Try to provide opportunities for dramatic play both indoors and out. 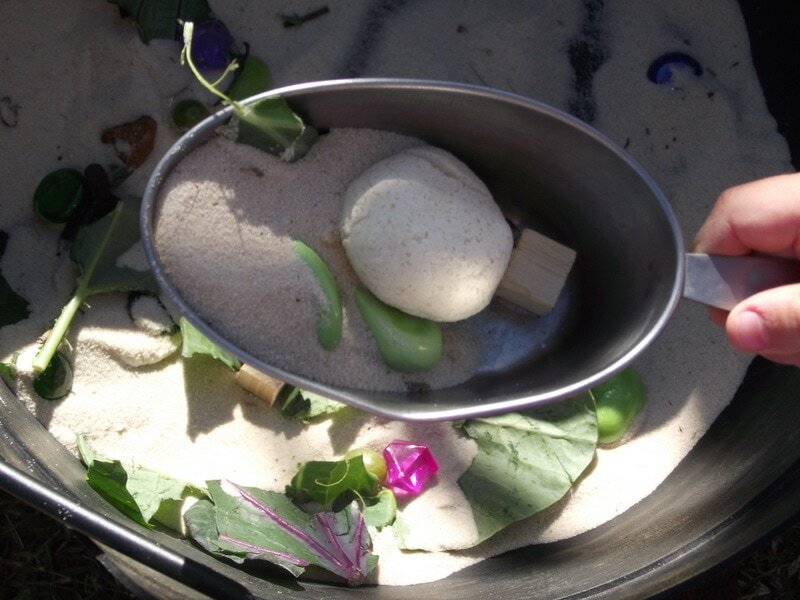 Again use props for play taken from real life, use real materials that children will find familiar. They may have used them before in their home or they might have seen others using them. Some of the more popular ones I use are old phones, keyboards, clipboards, handbags and shoes. 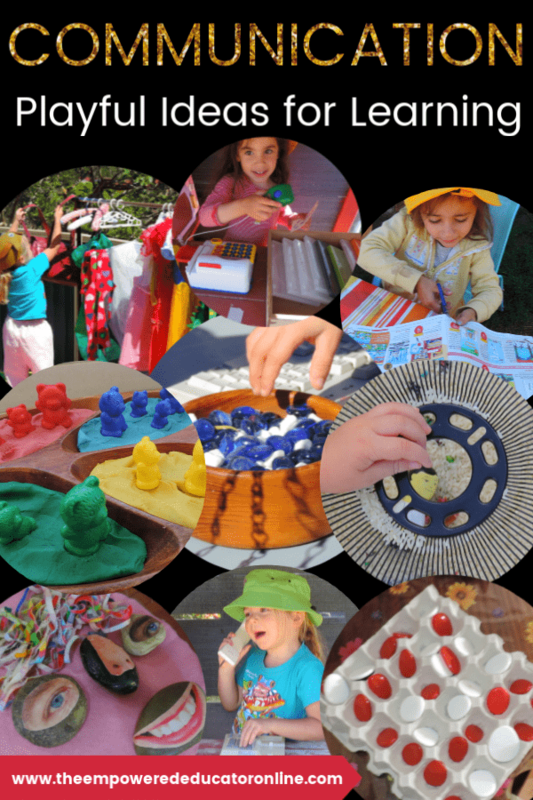 These real tools allow children to use their imagination and their understanding of the world around them to create and portray their roles and ideas as play unfolds naturally. 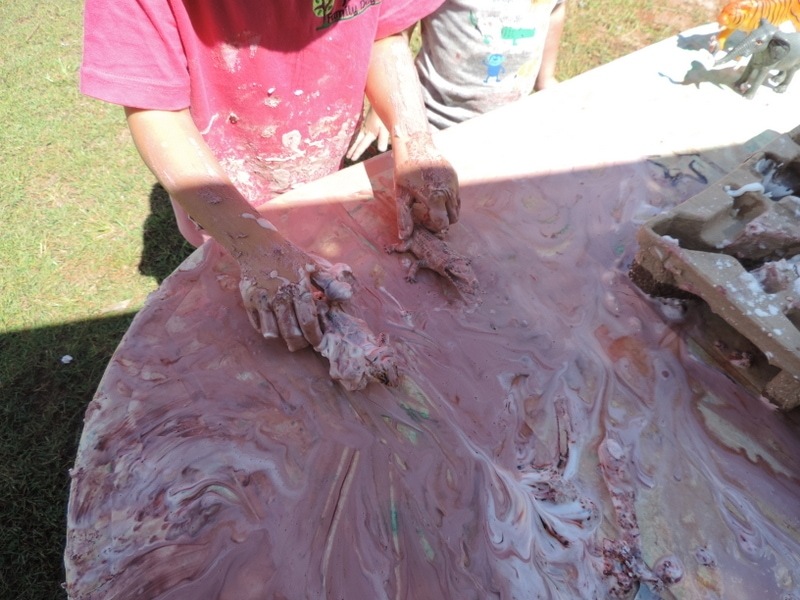 Provide art experiences using varied mediums (clay, paint, pens, soap slime, sand, playdough, glue etc) that allow for creative self-expression, problem-solving and investigation. Engage in conversation with them about what they are creating, what it means to them, what will they do next? 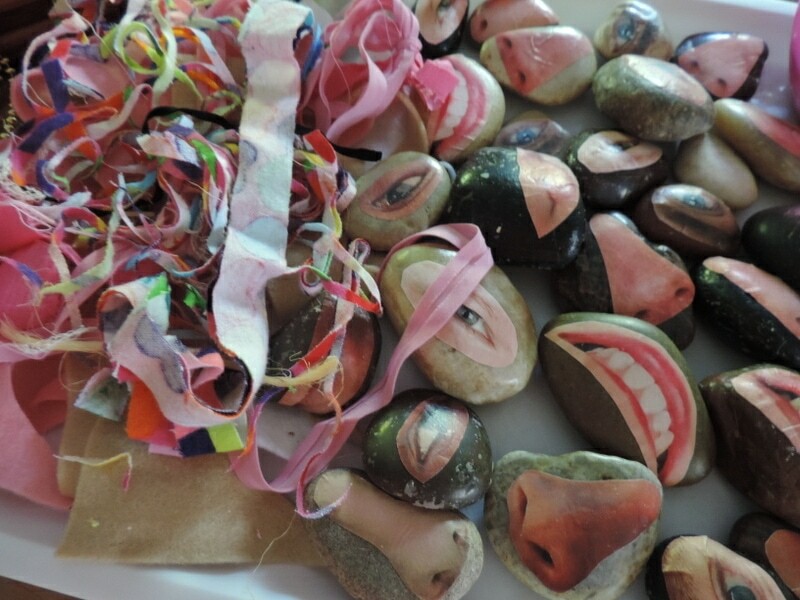 Recycle print images from magazines and junk mail to use in craft and group time experiences. 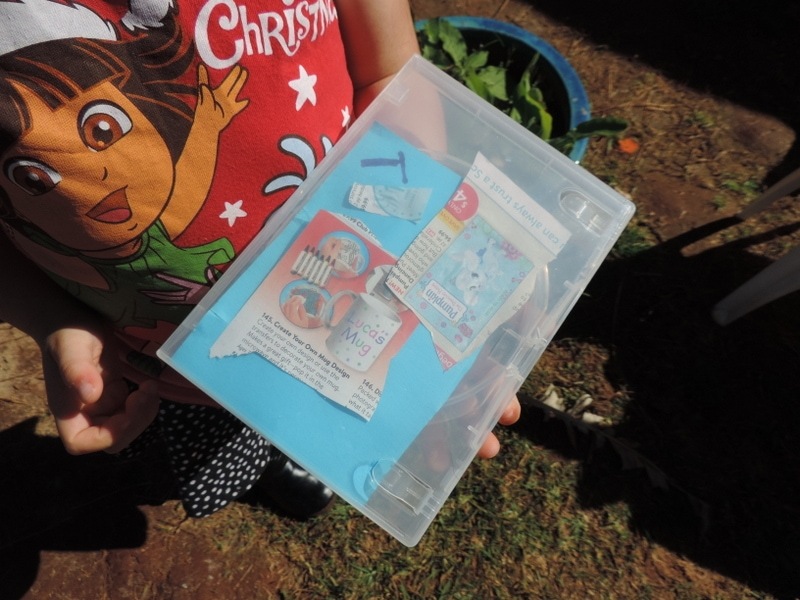 For older children, you might extend these activities to projects such as making recycled paper or practising scissor skills to cut out pictures for the collage tray. 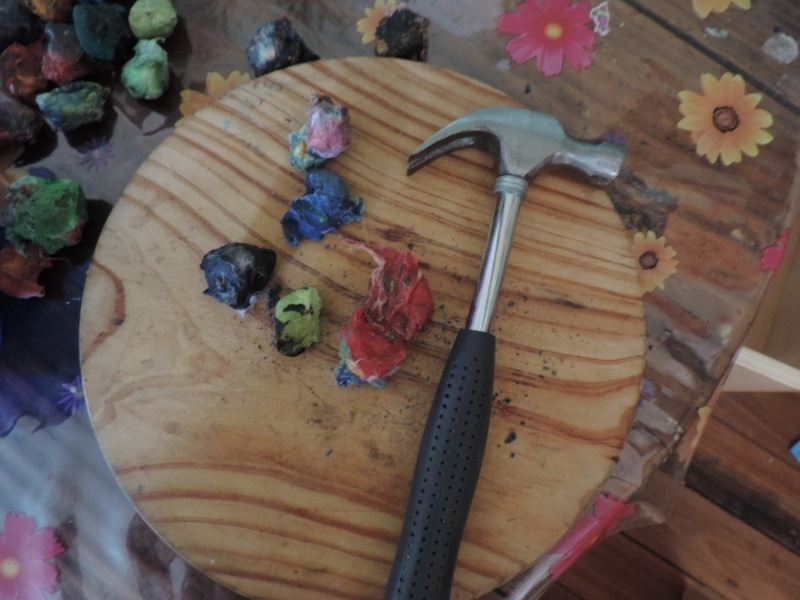 Younger children will love to tear paper and participate in projects such as paper mache and basic collage with magazine pictures. They could draw or ‘write’ on sheets of newspaper or perhaps older children could do some printing and make their own magazine or paper. Maybe they could draw pictures on paper to make their own storybook. Be sure to create opportunities to explore with music, dance and drama. Follow interests that may lead on from a current book interest. My twins have been playing ‘Little Red Riding Hood’ for months now ever since reading a new book. There have been drawings, plays, shows, songs and paintings. It’s amazing that they have yet to grow tired of the theme! Be involved as you read or share. Stop and answer those endless questions, they can be annoying I know but they are golden opportunities for learning and they are telling you they need and want to know more! 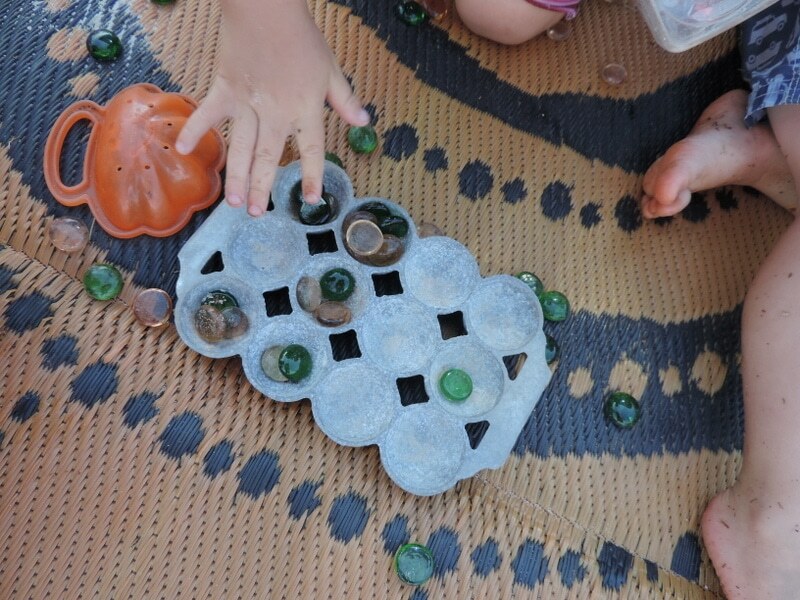 Ensure children have access to materials that they can use to create patterns with, sequence, sort or incorporate into dramatic play. Some of our current favourites are colourful stones, gumnuts, scarves, egg carton trays, teddy bear counters, coloured cars, farm animals and twigs. 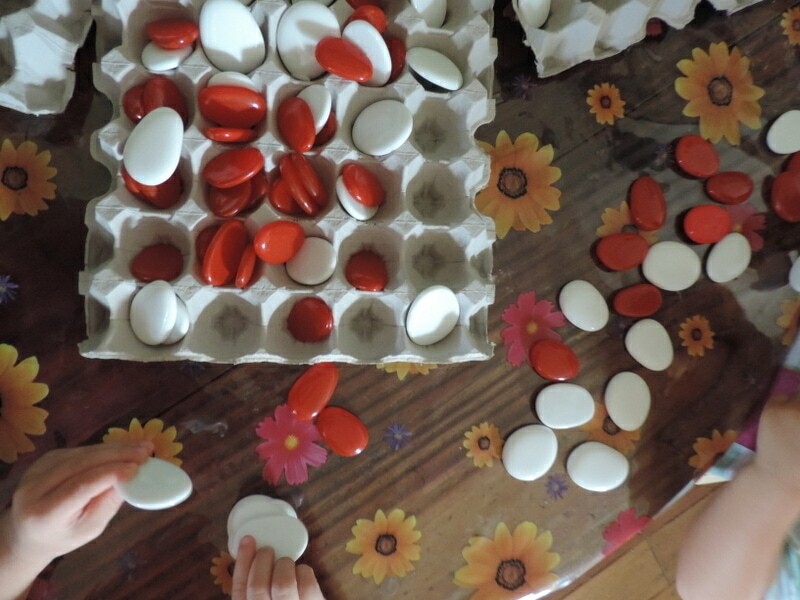 The younger children love lids and containers (obviously large enough not to be choking hazards please), silky material offcuts, larger coloured stones, pool noodles cut into blocks, cups, small baskets, trays and pop pom balls. 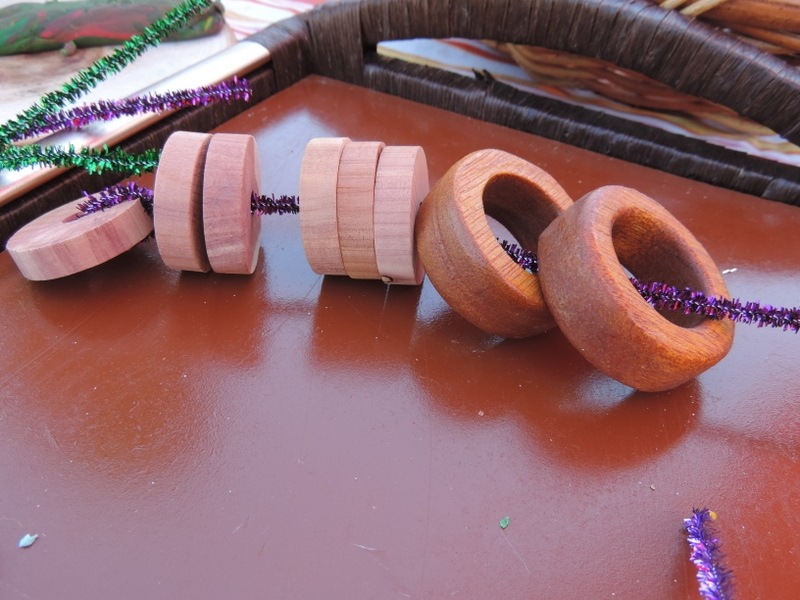 It’s truly amazing what children can do when exploring with simple loose parts such as these. Develop regular routines that will allow children to comprehend the passing of time. “After story time it’s nearly lunchtime at 12 pm isn’t it?” “When does my Mum come back?” “After afternoon tea at 3.30pm”. Hunt are good examples of this technique. Begin incorporating the sounds of letters when talking about letters in conversation. Help children see the correlation between the two. 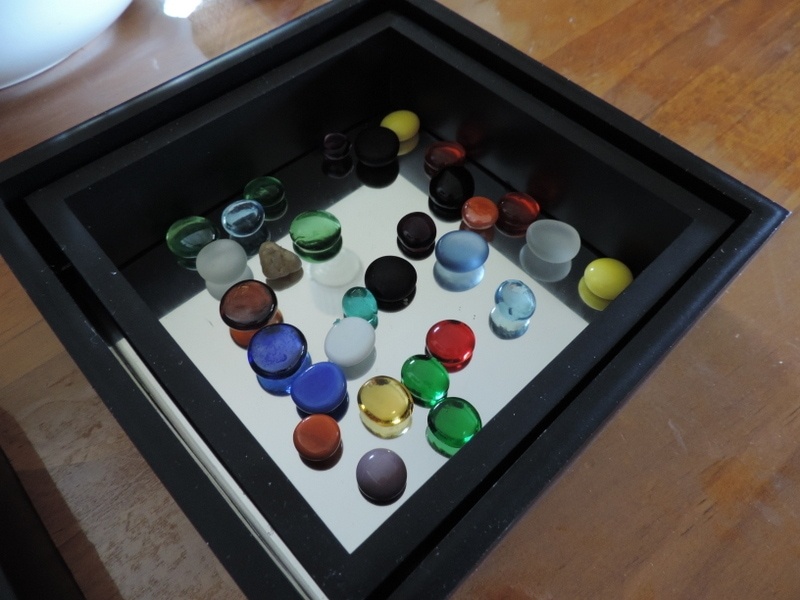 Play sequence memory games with objects from their play. Ask them what they need to find next to complete the game or task. For example, you might place an apple (and other fruit), a peeler, and a chopping board on a tray in front of them before morning tea time – you would then ask what needs to happen next before morning tea can be served. They might reply with a knife for chopping and a plate to put the apple pieces on. A basic example obviously but you get the idea! Point out symbols and patterns in their home or care environment as you notice them. It might be a picture of musical notes on a flyer, dollar signs on advertising, the time the clock is showing on the wall or simply the letters of their name on their drink bottle at snack time. 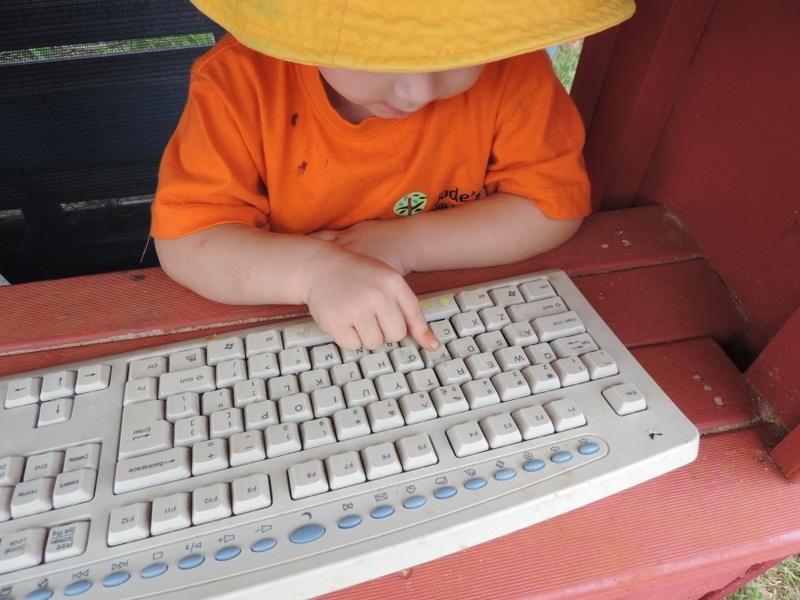 This can be a tricky area for many parents and educators as we all have different opinions on the use of technology with children under 5. Personally, my children rarely use the computer, we don’t own tablets and I don’t let them play with apps on my phone. I don’t have an issue with others that let their children do this, I just don’t see a need for it with my children. 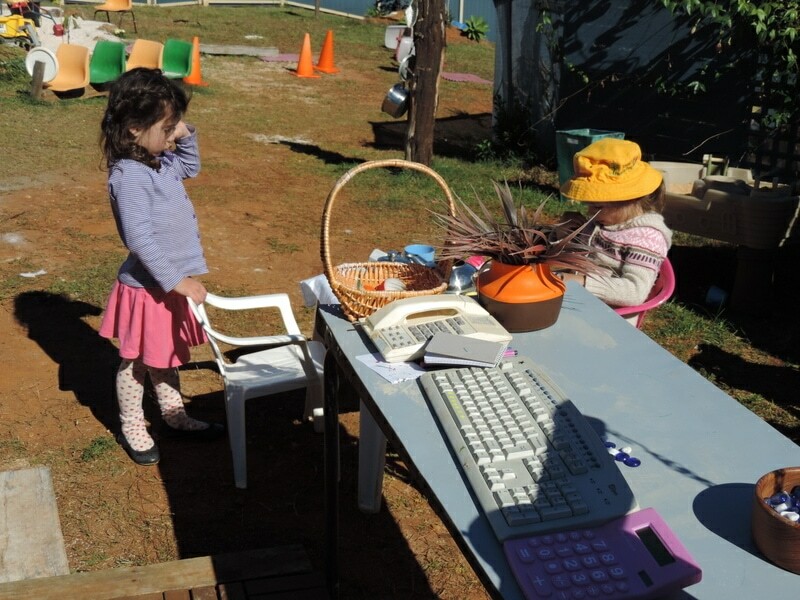 There is however a place for technology in early childhood education if used wisely although I don’t believe it should be relied upon! Here are a few ways that I do incorporate technology into learning. Everyone is different, you might have other ways and I’d love to hear about them! 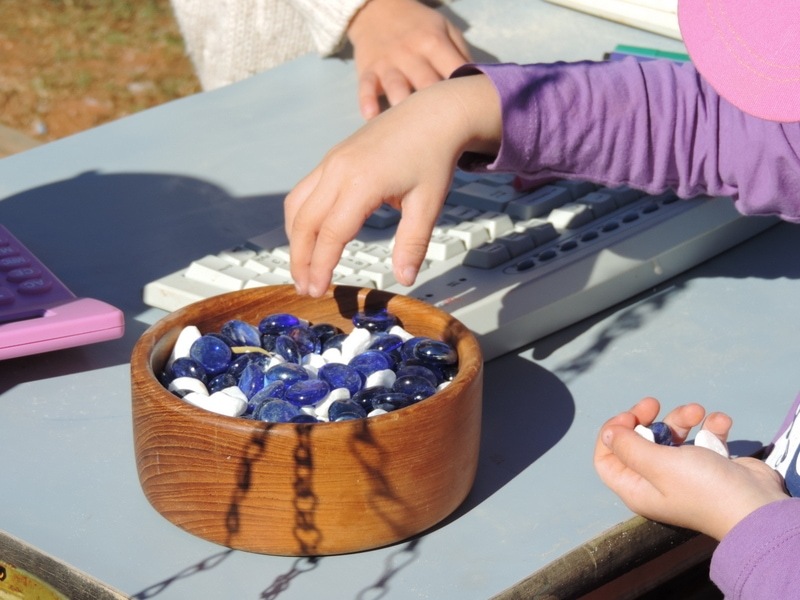 Recycle and reuse technological equipment so children can explore their use through play experiences. 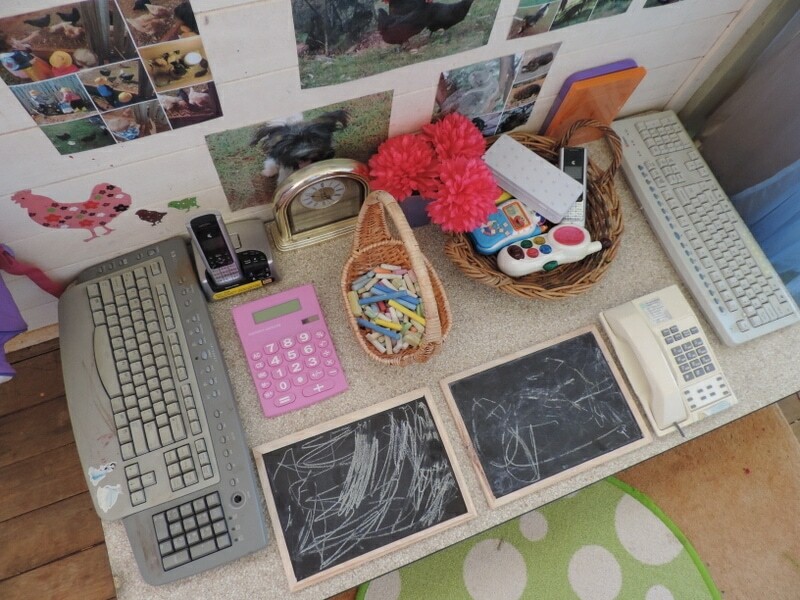 Old keyboards, phones and mobile phones (battery removed) provide many rich experiences and information to explore and help them make sense of. We use the internet to research pictures of processes and concepts we might be interested in. 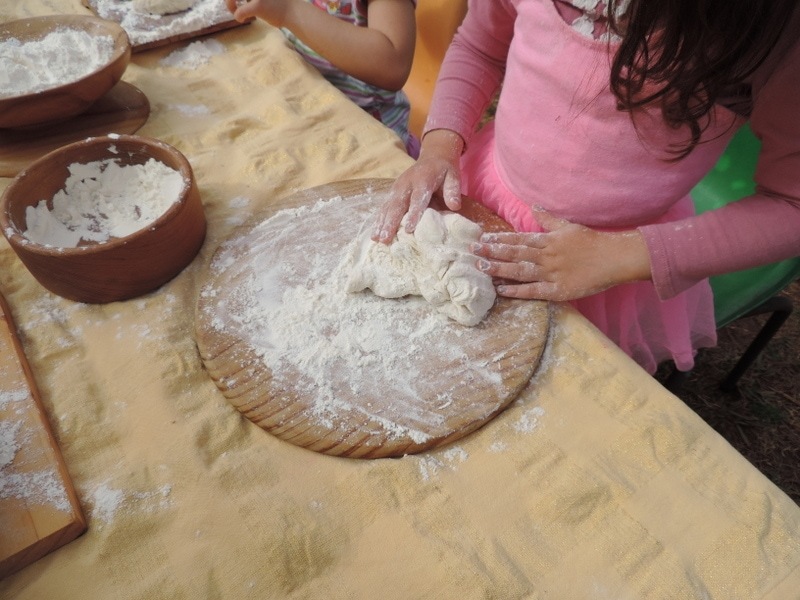 We recently explored breadmaking and the occupation of bakers after we baked some bread rolls. 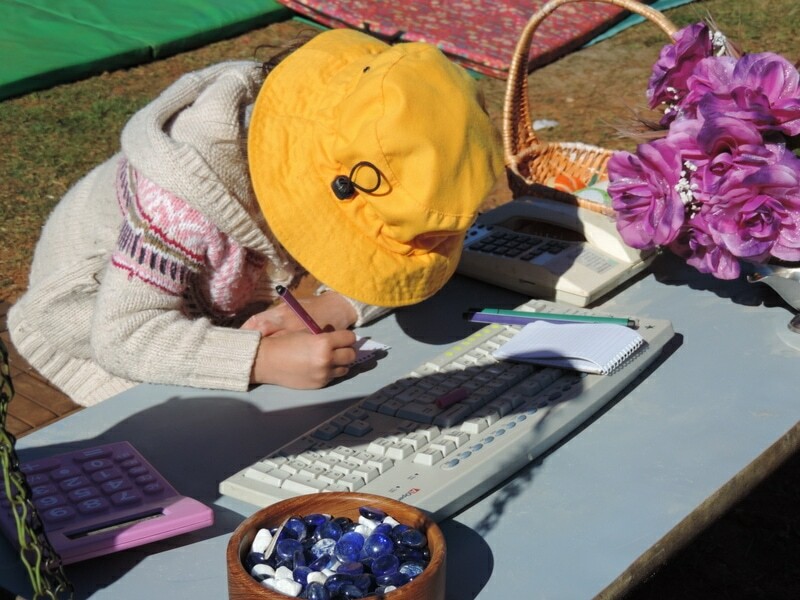 We have used the computer keyboards to find letters of our names and type them then print so the children are able to grasp the sequence of events to reach a finished written product. The children have helped me to remove the memory card from my camera, insert into the computer and download photos to print and email to their parents. We have searched for and read ebooks/watched movies about particular subjects of interest, usually to do with roles and cultures within our community. I name and explain the roles of certain equipment we have in the home/care environment as we use them in our day to day routines. Microwave, TV, printer, washing machine, dryer, music speakers, phones. What are they? What are they used for? Where did we get them? 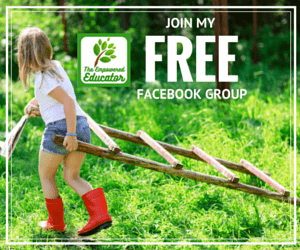 There are of course many educational games for computers and phones which can provide valuable experiences but I prefer to stick with play-based learning opportunities to cover this area. They will have plenty of time to sit in front of a computer when they reach school but I know that many do feel different to me and that is ok! I hope I have given you some ideas and inspiration for supporting your children to become effective communicators…no matter their age. Remember that communication does not always mean speech and language but it will always be a way for children to express themselves, connect with those around them and extend upon their learning journey. And as their parent or educator, you can encourage them on this journey by using a few of the simple strategies listed above. If you have any questions or some other ideas you would love to share please do so in the comments below or on my Facebook page. « Fun Fine Motor Ideas with Baked Cotton Balls.. Your work is amazing.love it so much.Great ideas. Thanks so much Bella, how kind of you to say…I do love to share! WOW…WOW…WOW! Don’t know how I stumbled upon your website but it is amazing! I learned so much from you in the 30 minutes that I’ve looked through your photos and journal! 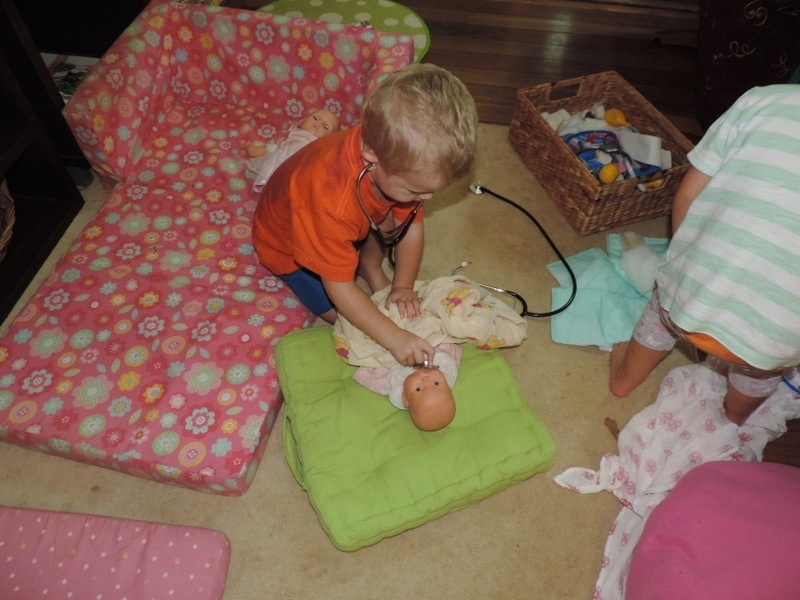 These kiddos are so lucky to be in your care! 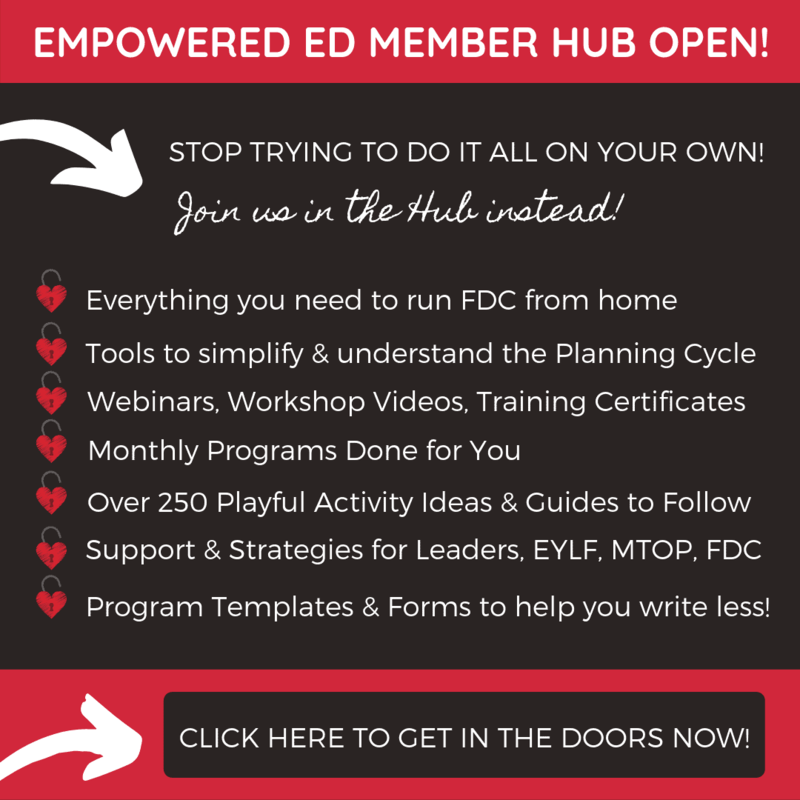 I have been teaching in the US for 20+ years, most recently focusing on parenting classes. After 10 years in the school district I was laid off due to lack of funding, so I am trying to think of some way to get $ to continue on my own! It is so difficult, but I cannot imagine doing anything else! Thanks for your your inspiration! If you ever get to California, please look me up, I’d love to meet you and have you over for lunch! I really enjoyed this post. I have been a bit stressed about my youngest son whom I am holding back Kindy next year as his speech is really not up to par. He is going to childcare three days and I hope his communication and social skills improve. Thanks for the useful information. I’m sure his childcare will help as they use ELYF but I feel the need to work on this with him as well. I’m also having a Giveaway on my blog too.